South Asian Americans Leading Together (SAALT) will be coordinating a capacity-building and skills-building program in 2013 to support, deepen, and strengthen the member organizations of the National Coalition of South Asian Organizations (NCSO). When the NCSO was created in 2007, part of the vision was that SAALT, as the coordinator, would identify funding, resources, and trainings to support NCSO members. Over the years, this has occurred in a variety of ways such as through We Build Community, the Advocates for Community Empowerment project, the New York City collaborative project on racial and religious profiling, the National South Asian Summit, and others. In 2013-2014, SAALT will be engaging in the second year of our We Build Community capacity building initiative. 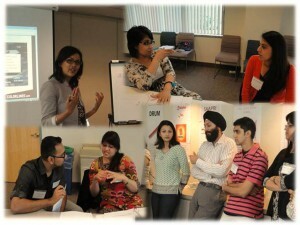 We Build Community 2013-2014, will support NCSO members to more effectively deepen their capacity and involvement in alliances and coalitions that connect South Asian American communities with broader movements for racial justice, immigration justice, gender justice, and/or LGBTQ justice.